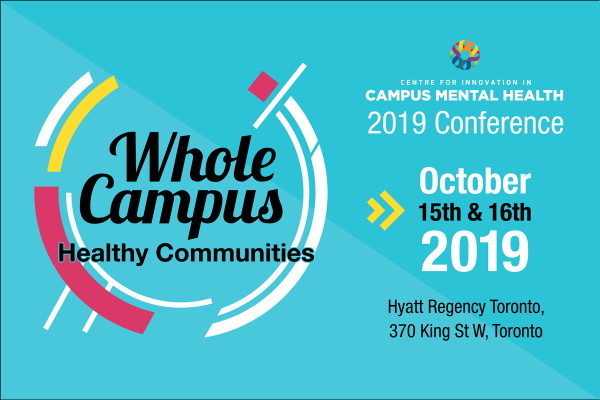 Campuses are the sites of a wide range of mental health challenges, from exam-related stress and roommate relationship issues to anorexia and depression. A characteristic of a mental healthy campus would be students feeling safe and supported in talking about their concerns. At such a campus, everyone in the institution takes ownership of student success. Student affairs administrators, faculty, residence directors, and counsellors are often on the front lines with distressed students, and they – along with many other campus constituencies – are searching for ways to best serve students’ individual needs and those of the student body as a whole. Institutional leadership and campus models for diversity and inclusion that simultaneously advance underserved students’ educational access and success and promote the flourishing of institutions have a significant impact on mental health. Presentations in this stream will address barriers based in discrimination and new opportunities related to demographic change, sharing practices and programs that pursue established ideals about equity. We invite you to consider submitting a program for our CICMH conference 2019. The CICMH conference planning committees encourage program proposals regarding proven practices with content that will engage participants in fruitful discussions and provide meaningful content to bring back to their campuses. Interested in being a sponsor at our CICMH conference? Check out the options available for you and your organization.